When do we ever learn? On the weekend before Christmas last season virtually every game south of the Watford Gap was postponed due to torrential rain. Throughout the Non-Leagues the cries rang out for more 3G pitches to prevent such occurences happening again. Twelve months later and once again I faced a blank weekend. Despite the heroic efforts of Joe and Jack at the Dripping Pan, we had to admit defeat against the forces of nature, and for the second time in four days, we had a postponement on our hands. The Saturday before Christmas, when clubs would be hoping for a bumper attendance of disillusioned men, Christmas shopping refugees who would spend their hard-earned cash with us rather than the retail Gods. Every year we expect bad weather, but it seems that as the years progress, the season of postponements is getting longer and longer. So far this season we have had three cancellations due to the weather. We have already played (or supposed to have played) two games a week for the past six weeks, and face a similar story in the next six. So what does the League say about that? Well, nothing, as usual. Their insistence on an early deadline to the end of the season (26th April) means virtually all clubs will be playing two or three games a week at a time in March and April. 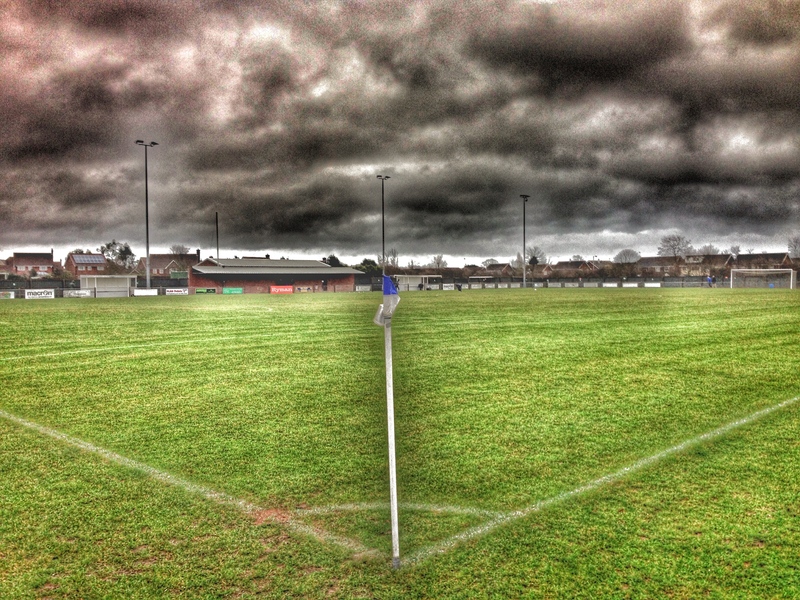 Few who don;t follow the Non-League game will understand the pressure this puts on clubs. Clubs at our level do not have income streams from commercial deals or TV revenues. Our revenue comes from gate money and the subsequent spend in the bar, on food or at the club shop. Alas, fans disposable income isn’t postponed when the match is – so if a fan was going to spend £30 today at a game, they wont save the cash for when the game is replayed, they will spend it on something else. So if the game is re-arranged for when there is two or three games a week, they may not have the cash to attend, or if they do, spend less when they attend. You can see the pattern in Lewes’s games this season. We have played four midweek league games this season (excluding the Bank Holiday game in August) with an average attendance of 380. Compare that to our Saturday home average league attendance of 633. Our average yield (average spend per attendee) is £5.38 – so that means a difference in revenue between a home game and a midweek game is £1,360. Sounds nothing, right? Well, let’s say a club loses 4 Saturday games a season, that’s over £5k, and to a Non-League club £5k can be the difference between living and dying. It’s at these times when the 3G argument is wheeled out. “Why don’t more clubs install 3G pitches?” Is the cry we hear, citing the example of Maidstone United. Alas, it’s not as simple as people think. Take out of the equation the ridiculous FA rulings on which leagues can and can’t use the artificial surfaces, there are a number of considerations you have to bear in mind. Firstly, the cost. The pitches are not cheap. Half a million or so to install, fifty thousand a year to maintain. They have a live expectancy of ten-fifteen years, so they need to be depreciated like any other asset. Of course, there are additional revenue opportunities from being able to use it and grants from the Football Foundation et al, but the initial investment is prohibitive to virtually every club. Secondly, just because the pitches are artificial doesn’t make them immune to the bad weather. I’ve seen two games at Maidstone United where the rain has been so bad that the completion of the game has been in serious doubt. You can’t keep stopping a game to sweep the rain away. Also, the artificial surfaces can be easily damaged by excessive sweeping. Thirdly, games can still be postponed due to bad weather if the away team or the local authorities or police deem the surrounding area is dangerous or roads are impassable. You need two teams to play a game so if one cannot arrive or fans cannot safely watch the game, it will be cancelled. Finally, there is still some magic in watching a game played on a heavy pitch and will the rain or snow falling. And that is exactly what I expected when I pulled into the car park at Leslie Fields, Burnham-on-Crouch yesterday. My options A to F had all fallen by the wayside, but in the deepest, darkest corner of Essex, one of the newest Ryman League teams had manage to keep their game versus Waltham Abbey on. Of course, the majority of the male fraternity of Essex would be here – after all it was the only game within a twenty-mile radius. Quite how this had survived the monsoon-like conditions was beyond me. As I waited at the Dartford Tunnel tolls there was a brief wobble when Twitter told me that there was a 2pm pitch inspection but the hoards of oldish men with their carrier bags getting out of their cars at the ground told me that it was on, and the pre-Christmas meeting place for Groundhoppers United. 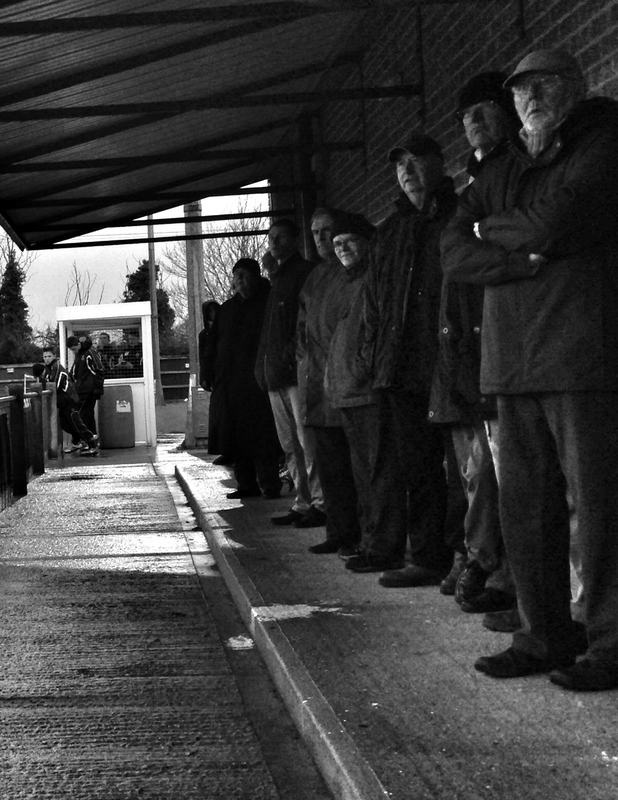 It didn’t seem that all those other Non-League fans had the same desire to watch a game this afternoon. Only 75 watched this very entertaining game, seven souls down on average. Perhaps they felt there was no way this game would go ahead, or perhaps Lakeside proved to be a better draw. Burnham-On-Crouch is not a bad place to spend a Saturday afternoon, with 22 pubs (at the last count) for a population of just 7,500 although there was little time for any pre-match hospitality today. 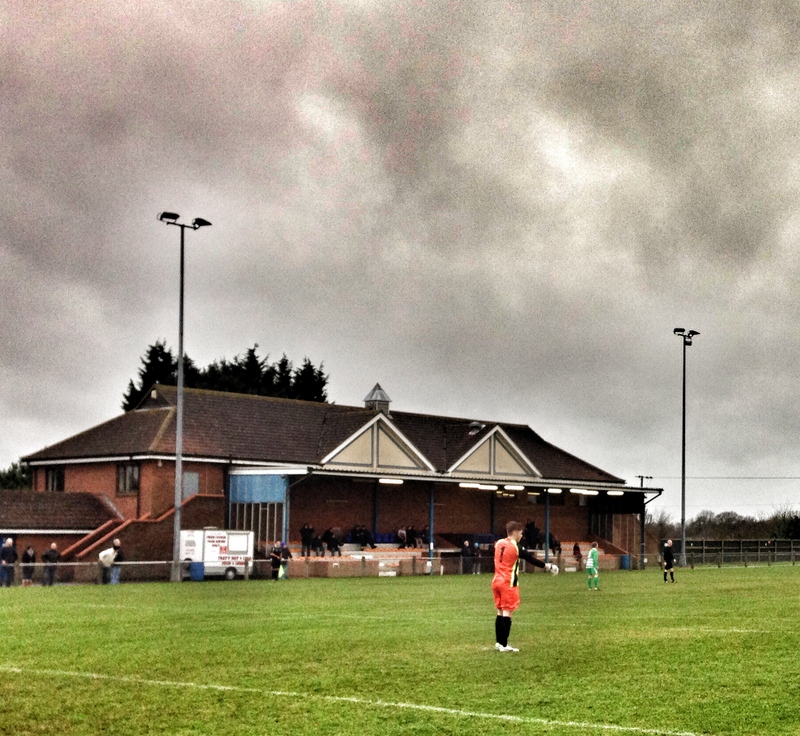 This was a great advert for Non-League football and the only disappointment was the small crowd. Burnham’s groundstaff had worked miracles to get the pitch playable and it held out, just, with the continuing downpour during the afternoon. Both keeper’s played a blinder both in terms of reading the conditions and the unpredictable nature of the ball. If truth be told both sides should have scored a couple of goals apiece by half-time as it became impossible to play with any finesse – attack became the only option. After a goal less first half it was the away side who took the lead with fifteen minutes remaining when Christian Wheeler somehow forced the ball over the line after a scrambled corner. Did the ball go over the line? The Assistant Referee signalled it did, although the reaction of the home players suggested they didn’t agree. Fifteen minutes later as the match entered its final minute the game was put beyond doubt when Ayrton Coley finished off an excellent move which saw Waltham Abbey break from a corner and have a 4 to 1 overlap. Did they deserve it? On the whole they probably did. If ever there was an afternoon when football was the winner, then this was it. I had escaped the Christmas shopping chaos and seen some football to boot. Heck, sod football, I was the winner. Take that rain and all the talk of a 3G revolution. This entry was posted in Non league football, Rymans League and tagged Burnham Ramblers, Ryman League, Waltham Abbey. Bookmark the permalink.